Click on Sales in the left-side menu. Select the desired Sale below and click Invoice above the Piece. 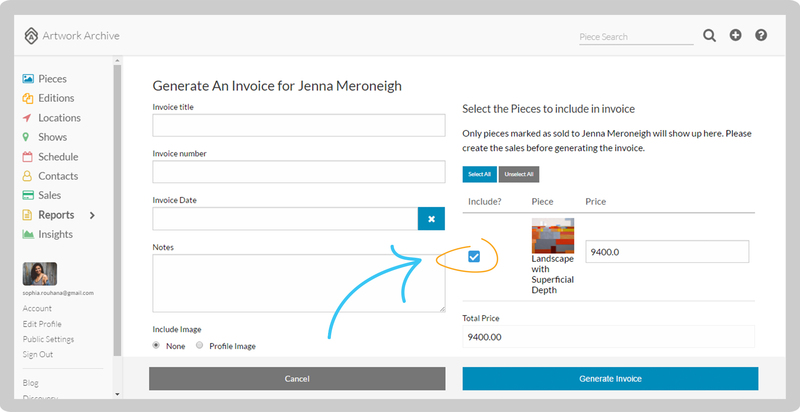 Select the Piece or Pieces the client has purchased to include on your Invoice, fill in the other information, and click Generate Invoice. You will be redirected to Reports. 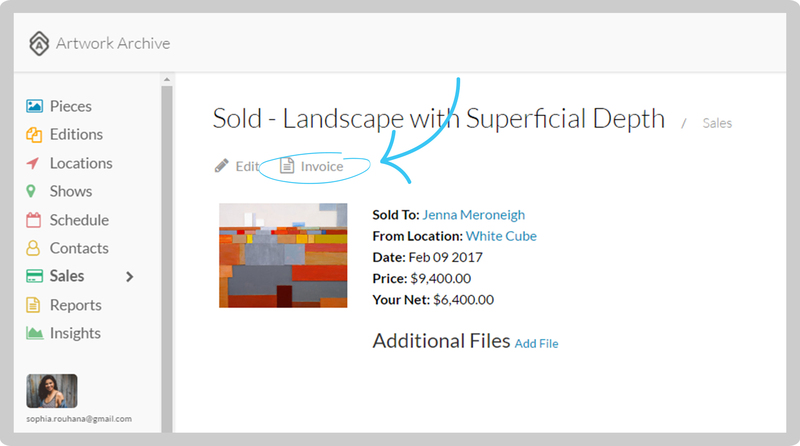 Click on the Invoice or the Download arrow to open the Invoice as a PDF. NOTE: The piece must be marked as Sold to one of your Contacts first. Edit the Sale if you do not see this.